It’s time to look at a romance manga. Naturally that will cause some alarm bells to ring off and with good reason since it’s rare for romance to be handled well and especially when it’s the main focus of a whole series. However, you could make the case that because romance is the main plot of this series it may be given more attention and the author will do a better job of depicting it. Unfortunately, this isn’t true, but the manga does tackle some fairly interesting themes. 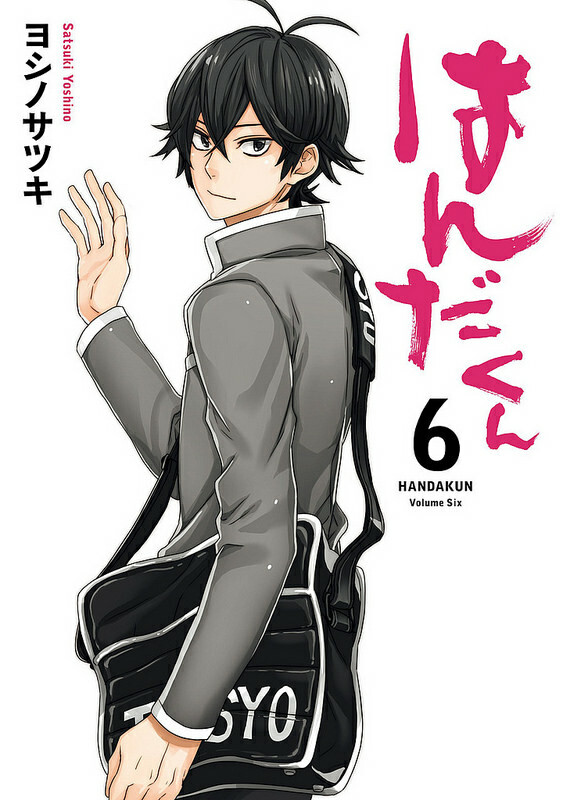 The manga follows a kid named Ninako who begins to like the most popular kid in the school, Ren. The problem is that he is already taken by a famous celebrity and they have been together for a very long time. This celebrity is the sister of Ninako’s childhood friend Daiki who liked Ninako, but she turned him down. Ninako decides that it wouldn’t be right to try and get Ren and Mayuka to break up just so she can get together with him so she tries to hide her feelings. Unfortunately this begins to take a bigger and bigger strain on her so should she forget about the moral side of this and just go for it? She has some tough decisions to make. That’s the big topic that the manga spends time with. It’s a complicated issue that has a very simple answer. Yes, if the person that you like is taken then you shouldn’t make a move. That person should be considered out of limits and you have to completely lose those feelings before you get into trouble. It’s so incredibly selfish to sabotage a relationship just so that you can insert yourself into the empty spot. Yeah, it’s pretty tragic for Ninako here, but she’s just got to live with it. She gets advice from her friends on both sides. One suggests that if the relationship is so weak that it can be broken then it should be broken. That sounds like pretty bad advice if you ask me. It’s all just trying to justify this action. Ninako does a good job of showing restraint for a while, but unfortunately she does begin to break down by the end. I’ll still give her a thumbs up since it was Mayuka who forced her hand by breaking up with Ren, but that was also iffy. Basically, Mayuka seemed to only break up with Ren because she figured he’d be happier with Ninako. So, now that she isn’t an option Ren is okay with being with her, but that should still make Ninako feel guilty the whole time. Ren and Mayuka would have likely been happy if not for her meddling. Mayuka also shouldn’t have conceded defeat so quickly. Then we’ve got a lot of other rebounding occurring at the school. After Daiki was rejected by Ninako he was accepted by one of her friends and they got together. Considering the short time span in between these two, it definitely doesn’t feel as genuine as it could be. Same with Ando going after Ninako and after getting rejected he quickly got together with someone else. It’s like the characters instantly move on to their second pick after getting rejected. Don’t the characters mind being the second pick? There is definitely a lot of unrequited love in this series. It’s definitely an interesting theme for sure, but it didn’t have the right conclusion. What should have happened was Ninako realizing that she and Ren could never be together and deciding to instead just be friends. That way they would still hang out and she could enjoy their time again. The series would have had a bittersweet ending that way, but it would have been much better. Sometimes the friend zone is actually the best place to be since friendship is magic after all. So yeah, Ninako is a solid Protagonist. She tends to have the right idea about how to handle the situations she’s in. Unfortunately, she is highly susceptible to peer pressure though and her friends often give her poor advice. She is also put into a lot of tough situations that keep on lowering her will power. Ninako’s resolve is good though and at the very least she doesn’t make any real moves on Ren until after the break up. She handles rejection better than the rest of the cast and while the ending is iffy on a lot of levels, the majority of it isn’t really her fault. Ren is the one who is the main culprit. It’s just impossible to like Ren and even harder to sympathize with him. For starters, his friendship being broken with Ando was his fault. 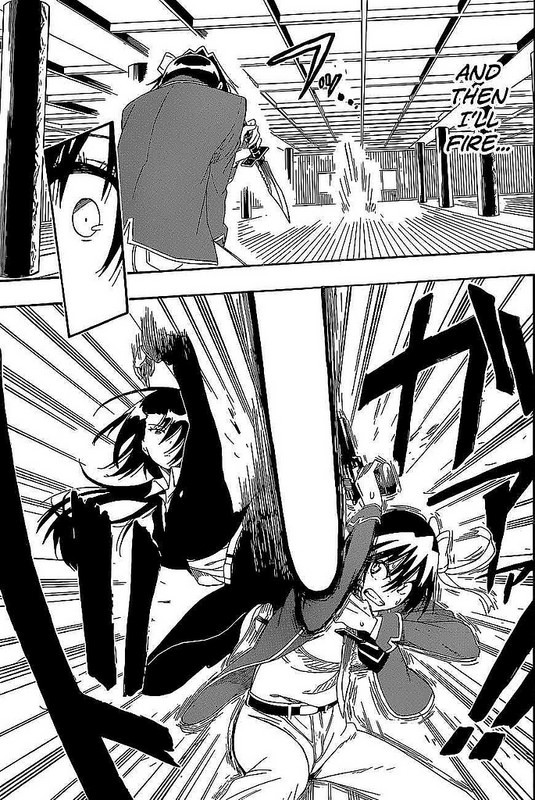 Ren allowed Ando’s girlfriend to get the jump on him and pull some moves before he broke away. Naturally Ando witnessed this and quickly stopped hanging out with Ren. I don’t even blame him because no matter how many times you explain that you were shocked and couldn’t move I wouldn’t believe it. Then Ren was with Mayuka for a long time, but still fell for Ninako. He wasn’t nearly as good as she was at holding in his feelings or not making it obvious in public. Naturally this wasn’t good for Mayuka especially since she was in a stressful period of trying to get her fashion gigs up and running. When Mayuka dumped Ren so he could be with Ninako, he should have kept on persisting that this wouldn’t happen. Perhaps if a few weeks or months had passed and Ren hadn’t gotten together with anyone then Mayuka would see that he was serious. Instead, he basically tried going after Ninako immediately which completely proved her to be correct. Ren is definitely the kind of guy that seems to play the field and while the manga tries to portray him as a really nice guy who always tries to make the right call, I wasn’t buying it. He causes at least 90% of the issues in the series. Then we’ve got Daiki, the childhood friend. It’s a little sad for him at the start since the whole cast seems to think that he and Ninako are basically together. It’s what everyone expects and Ninako never really says anything to the contrary. As a result, when she rejects him it may seem kind of sudden, but that’s why you should never assume relationships. Of course, Daiki rebounded almost immediately so there went any possible sympathy you may have had for him. He’s also not a trust worthy friend to have as he admits to everyone that Mayuka is a celebrity and about her break up even though he was supposed to keep it under wraps. As a result, the full cast learned about this pretty quickly. Nah, Daiki’s not a quality character. See, I would say that Ando is a good character since he’s certainly more fun than the others, but he has a lot of Captain Kirk tendencies. He gets around and has been with most of the girls at the school. He even has a reputation for that at school so if anyone wants a quick rebound they just meet up at his apartment. He tries to go away from that to be a more serious person, but completely regresses towards the middle when he’s in a slump. While he eventually gets out of that, you can’t help but wonder if he can stick to his resolve. 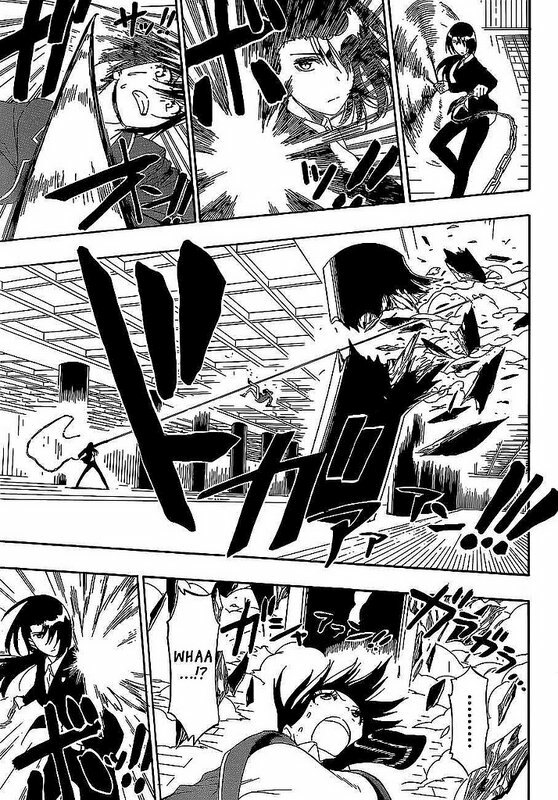 He also goes for an instant rebound after Ninako dumps him and gets beat up in his only actual fight. Ando is very persistent, but overdoes it as Ninako really wants nothing to do with him. Mayuka is a celebrity and Daiki’s sister so she plays a pretty big role in the series. However, while she is a solid character for a while, I don’t agree with how the plot ended. It seems to me like she ended up rejecting Ren just so he could end up with Ninako. I don’t really buy into the reasoning that her job got to be more important than him and that’s why she broke it off. She just felt like Ren was forcing himself to hang out with her which was unfortunately true. I guess it’s good to break up if you know that the person you’re with isn’t really into you and I should probably agree since I’m always against the rebound. Still, you should fight to stay with the person you like if that’s an option. Sayuri is one of Ninako’s friends, but I’m not sure about how her plot line ended. 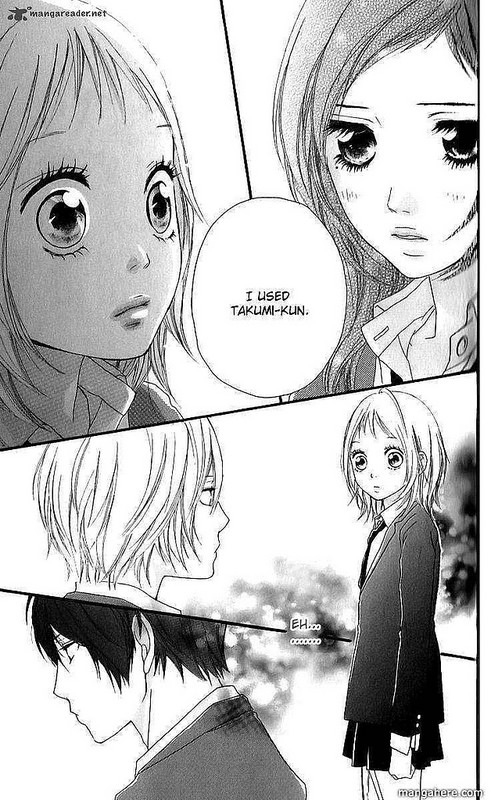 See, it goes back to the rebound thing again as she’s going after the guy who liked Ninako but was rejected. Naturally they’re happy together now, but it’s just one of those things that I can’t get behind. She’s a nice enough person, but the romance probably should have been cut from the series and it would have benefited from it considerably. They could have kept the friend dynamic in place and it would have still worked. The series does try to pair up all of the big characters by the end, but that’s typically not a good thing. Mao was probably the final main character to be introduced in the series. She does feel a little like a rather late inclusion to the series, but I guess she’s an okay character. Naturally she was shady in the past as she used Ando and basically made him become the isolated guy that he is today. She also managed to damage the bond between him and Ren for many years. There are some twists to this whole thing, but her betrayal does stand. Her redemption arc is decent I guess as she is certainly sincere but if you put yourself in Ando’s shoes it is really hard to just forgive and forget in this case. She’s not really my kind of character. Most of the characters really weren’t all that good. They all were willing to go for quick rebounds so I have to blame both parties for that. I think that the only characters who didn’t go for a rebound were Ninako and Mayuka. They each picked just one person and stuck to that. I can’t be 100% about Mayuka in case there was a time skip at the end that I’m forgetting, but at the very least Ninako didn’t make that mistake. While she may have entertained the thought at times, she always knew that it would be the wrong decision and explained her correct reasoning on it. Rebounding just isn’t a good option at any time. Now you may wonder what the time frame is for the next relationship to not be a rebound, but it’s really hard to say. I’d say that it has to be at least a year or so, but that’s a very rough approximation. The art is fairly good in the series. It’s less convoluted than some Shojo series, but isn’t nearly as crystal clear and colorful as others. I do think the author does a good job of not reusing too many panels the way that some slice of life/comedy titles tend to do. The chapters are easy to read and I’d give the art a pass. It’s not amazing, but it certainly isn’t bad either. It works well enough which is what counts. Strobe Edge’s atmosphere of light comedy which transitions to more serious drama works fairly well. At the very least, the manga never tries to get quite too serious and while sad, it doesn’t rub it in your face too much. With better writing or a different plot, this series probably could have went somewhere. 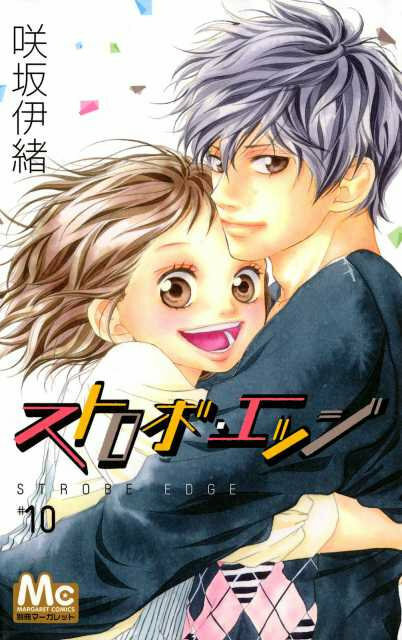 Overall, Strobe Edge is a romance series that tackles some important themes, but gives us the wrong answer to them. It’s like that movie about the two people who wanted to try and just be friends, but at the end lost and turned the whole message of the film upside down. The manga practically justifies all of the rebounds at the end and suggests that if your love is unrequited you either move on to someone else right away or sabotage the person that is in your way. Either way, it’s not exactly the answer I was looking for. It’s a pleasant enough series so it’s not hard to read or anything, but the romance isn’t good and since that’s the whole point of the series, its score was never going to be too high. If you don’t mind the romance or think you like this direction than you can probably add a few more stars to the series and check it out. At least the pacing is solid and it’s certainly better than some other romance titles like Vampire Knight, but you’re better off reading a more fun Shojo title like Sailor Moon. It’s time for another spinoff although this one is a direct prequel. It’s about Handa back in his school days and as always he is having a tough time fitting in. As someone who was never the biggest fan of the village setting I can definitely see this one passing the main series. Of course, it will be a little limited in what it can do without causing issues in the main title, but there’s still a lot of room to explore here. I’ll have a review for the series when I finish it. It’s time to review a very different manga series. Seriously, it’s not one that you’d have expected me to read. It’s my first complete harem manga. There are some titles that can act a bit like a harem at times like Sword Art Online, but this is a full blown one with comedy hi-jinx around every corner and a lot of situations that will make you suspend your disbelief. So I can’t say that I had high hopes for this series at all. Luckily it plays up the comedy angle first and foremost. There isn’t a great deal of fanservice here as it’s pretty mild for the most part. 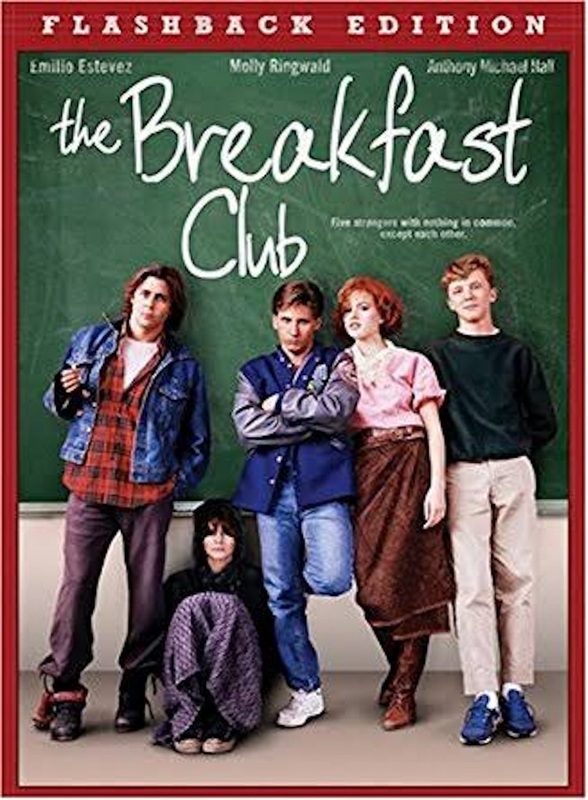 There are some tricky moments though and it’s certainly not perfect, but it’s likely the best adaptation of this genre. I can’t imagine another one handling it quite as well. The protagonist is Raku and he is the heir to a local Yakuza organization. He doesn’t want to lead the group though as his passion is to be a civil servant who lives in a very fair and balanced way. It’s an honorable aspiration and the gang members don’t mind this as they figure that he’ll grow bored and decide to lead the gang in the end anyway. His life changes forever when a girl named Chitoge moves into town. 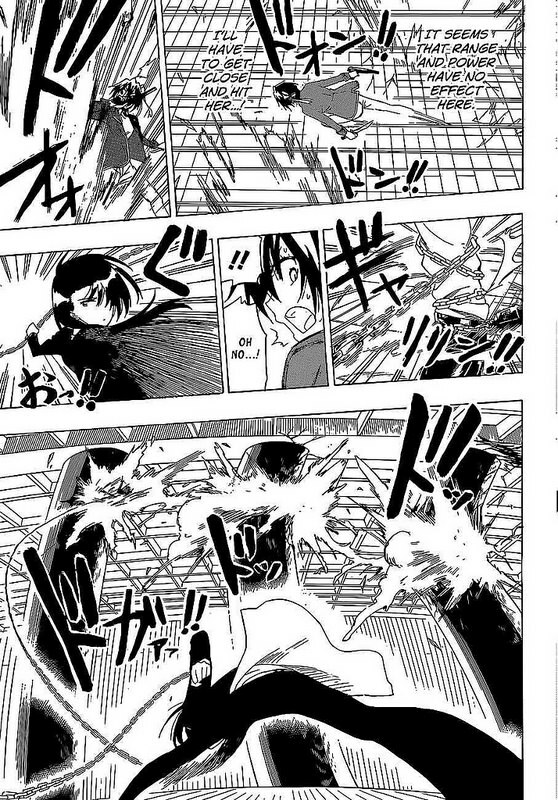 She is in a very similar situation and her gang does not get along with Raku’s at all. The two gangs decide to form a peace treaty by convincing Chitoge and Raku to pretend to be dating. Only the top executive of each gang knows that it is fake so the rest believe that it is legitimate and do their best not to get into fights. Naturally, this has serious social repercussions for both characters since they have to keep the act going 24/7. Raku was hoping to live a normal high school life and Chitoge wanted a great start to her school year, but neither were to be. Quite a few more complications would enter the fray though. The main characters are all in the same class and it just so happens that most of them know Raku in some way or other from the past. Onodera was one of Raku’s best friends back in the day and Raku secretly admires her. Unfortunately for him, the Chitoge situation has shut the door on any hopes for him since he is officially taken and Chitoge has to find a way around that as well. Her best friend Ruri has decided that overcoming your rivals is necessary in a case like this and tries to push the two of them together. 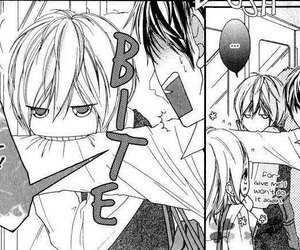 Meanwhile, Chitoge has a bodyguard named Tsugami who is forced to come to class as well to protect her mistress. She believes that Raku is not fit to protect Chitoge but gradually realizes that he is tougher than he looks. A rich transfer student also shows up who is a pre-arranged fiance for Raku. This hurts his reputation even more and she is the most overt with her constant advances towards Raku. Not to be out done, a transfer teacher also shows up named Yui. She grew up with Raku as she learned how to be an effective mob boss and then went her own way. Well, now she is also back to claim Raku. Finally, we also have Onodera’s younger sister. She doesn’t want to get in Onodera’s way but that becomes more difficult as her friend tries to push her into some tricky situations. So, we’ve got quite the cast and you can see how this is clearly a harem title. There are 6 different girls going after Raku and he has to try to stop all of their advances while he chooses one over the others. While the reverse harem title Gentleman’s Alliance (I believe that’s the right name) did a cop-out by having the heroine choose 2 guys to alternate with, I can safely say that there is none here. The series wraps up with each girl getting her own story arc and one by one Raku completely rejects them tournament style. It’s pretty interesting and at least he was direct about the whole thing. Of course, the series is 25 volumes long and those arcs don’t really start til around volume 19. The first 18 are for good ole comedy shenanigans along with a plot about Raku’s pendant. See, he has this pendent which can only be opened by a girl that he promised to marry when he was a kid. The problem is that from the 7 girls, 4-5 of them have their own keys. They can’t try them out either since Raku conveniently breaks his pendent. Oh well, they’ve got a lot of time to figure it out right? For a story like this, the two most important aspects are the characters and the writing. Those two things are handled pretty well and the art also helps a lot. You may notice that all of the pictures in this review are from the same fight. That’s because the art for this fight was just so good and it came out of nowhere. This was the only serious fight in the whole series or at least the only one that was of a decent length. 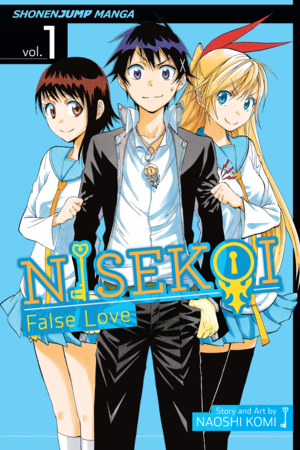 It shows what the series could have been like if the author had decided to pursue Nisekoi as an action series. It would have had quite a lot of potential. The art is consistently good throughout and I’d consider it to be fairly high end even counting all other manga titles. If there’s any part of the art that’s weak, it’s that parts of it can seem recycled. So that’s not a quality thing, but just a byproduct of the genre. It’s something that you tend to see in comedy titles a lot since the characters always have exaggerated expressions. You’ll see what I mean if you flip through a volume. The characters make the same faces constantly. You can’t go through a single chapter without someone yelling or panicking. At least not until you’re in the climax of the series. The overreactions can definitely get old pretty quick. All right, lets talk about the characters. First off is Raku, our lead. He’s a nice guy who wants to help everyone out, but just has a lot of natural charm so everyone wants to hang out with him. Raku does his best not to lead anyone on and is pretty oblivious to the situation as you probably would expect. I can’t say that I’m really a fan of Raku though. While he handles most of the situations fairly well, he can also make them worse at times. Other times he’s a little slow on the uptake and tends to insult other characters at inopportune times. He calls Chitoge a gorilla as a joke while she calls him a bean sprout, but often times Raku will use this insult quite randomly and it makes you wonder what he was thinking. Chitoge is the main heroine and one of the better characters. She’s probably my second favorite behind Tsugami. Chitoge is outgoing and does her best to make a lot of friends during her school days. She helped to bring the whole gang together and is always ready to help the others out like Raku. She’s pretty selfless as well and tries not to get in the way of the other character’s goals. Chitoge can also fight to a mild extent which helps quite a bit as well. Next up is Onodera, one of the other major characters of the series. Unfortunately, I was never a fan of hers. She’s a really shy character who has a hard time talking to Raku and her friends often have to push her into action. She means well though and is also a very nice character, but the shy character type has never been my favorite. Just about all of my favorite characters are outgoing or have generally tough personalities. I feel like it makes the character more interesting. Next up is the worst character in the series, Shu. This character had no point being in the series and it feels like he is just here to make Raku look even better. After all, Raku is heroic, noble, and treats everyone with respect. Shu flirts with everyone and is always thinking very sketchy thoughts as he tries to get everyone into sticky situations. His romance plot was also the worst since it basically exonerated everything he does. The series ends with him refusing to change his ways and his partner just deciding that she can live with that. It’s just terrible all around and I’d wince whenever he was on screen. Bad things were always sure to follow. Ruri is Onodera’s friend so she never really counted as one of the people interested in Raku. Things get tricky for a second, but her bond with Onodera is a lot stronger and another guy ends up appearing for her. Ruri was a pretty decent character until her romance plot started wrapping up. The series kept hinting at it whenever she would appear, but I just hoped that the title wouldn’t go down that route. Unfortunately it did and Ruri got the worst pairing possible. Anyway, she’s a nice friend who helped Onodera a lot, but the latter was just too timid to really make use of the assistance. Another supporting character is Claude. He doesn’t like Raku and constantly makes plans to humiliate the kid or get some dirt on him that could be used as blackmail. Naturally he’ll never find any dirt on the perfect main character though and most of his plans backfire because his subordinate Tsugami breaks it by mistake. Claude gets a pretty decent action scene towards the end and he is one of the best characters. While he is really bias against Raku, he does ultimately mean well since he just wants to protect Chitoge. He makes his share of mistakes, but I can sympathize with this guy. Back to the main characters, we have Chitoge’s bodyguard up next. Tsugami was the best character by a long shot as she’s a great fighter and makes all of the right choices. She puts her feelings behind Chitoge’s happiness and safety consistently. She can be a little too naive at times to be honest and the series really exaggerates this character trait of hers, but when it comes to being a bodyguard she is prepared for every contingency. She saves the day on multiple occasions and Raku definitely wouldn’t have lasted so long without her. She gave the series quite a few of its best scenes so it’s safe to say that the manga as a whole would have dropped without her as well. Tachibana’s personality is one that you probably wouldn’t assume would work well but she’s actually one of the better characters. She’s the most direct and upfront about her plans for the future and she lets Raku know about this constantly. It’s a little refreshing when you compare her to everyone else who constantly ducks the questions with the classic “Don’t get the wrong idea!” lines. Her story is probably the most tragic of the bunch, but it has a fairly happy ending. Tachibana also did have the absolute best arc of the series so that was pretty cool. She also came out to help in the last part of the final arc. I’d place her as the third best character and she definitely made the series a whole lot livelier. Honda is Tachibana’s bodyguard. 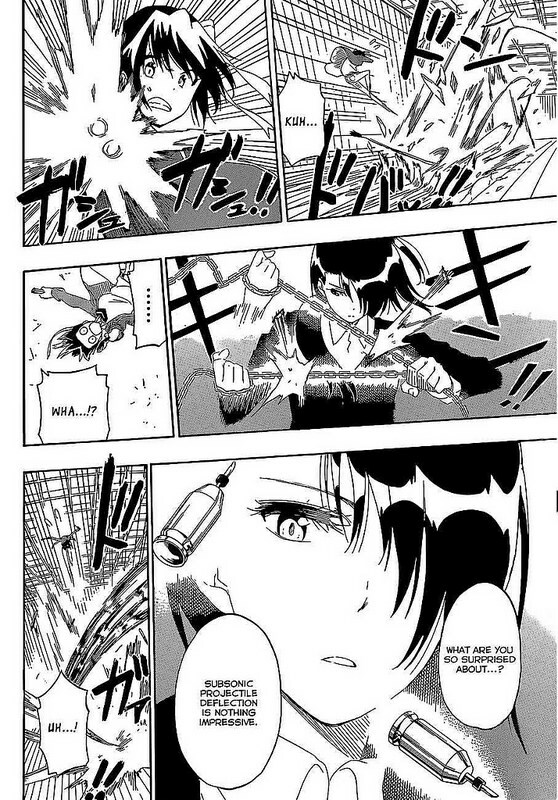 She isn’t quite as skilled as Tsugami, but she comes close. 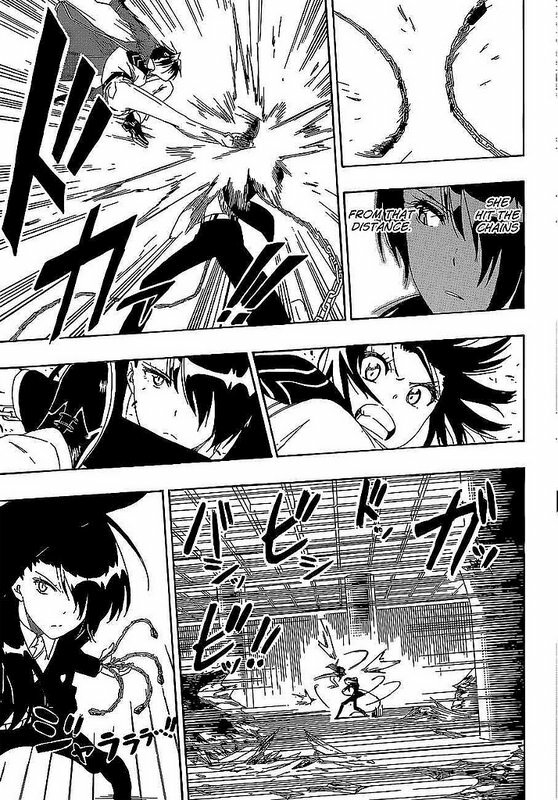 The images that I’ve attached in the review are of her fighting Tsugami so you can see how she put up a really good fight. That being said, I definitely don’t like Honda. She is the opposite of Tsugami who knows when to disobey an order and where her priorities lie. Honda follows the orders no matter what and is very strict when it comes to the rules. This leads to her making a lot of the wrong choices throughout. Haru is Onodera’s sister. She wasn’t a bad character, but I can’t say that she really added anything to the series either. You could cut her out and nothing would really change. Haru starts out as the most antagonistic character to Raku, but gradually warms up to him since he’s such a nice guy. She knows that Onodera is trying for him though and steps aside which is pretty self less of her. She wants to be a pro baker but goes through many adversities along the way. I was glad for that subplot though because I do like seeing snacks. I could use a good Chocolate Chip Cookie myself right about now. Finally we have Yui. She is the leader of a gang and used to live at Raku’s gang base when she was a kid. She doesn’t have any family left so she looks to Raku as a brother. We get a pretty iffy subplot where her admiration morphs into something else, but by the end they agree that this would be a mistake so they keep the status quo as it is. It’s certainly a weird dynamic when you have her as the teacher though. Fortunately she got out of the arranged marriage thing so now she has time to rethink about what she wants to do. She was also a little unnecessary to the series and didn’t bring much to the table. I think I prefer Haru so the question is who was the worst heroine….her or Onodera? I’m probably going to give Onodera the slight edge here, but it’s reasonably close. There are a few other supporting characters of course. Chitoge’s Mom shows up a few times during the series and she’s a good character. She lets her business get in the way of family time for a while, but Raku shows her how to balance it so she can hang out with Onodera more. The gang leaders show up a few times like Raku’s Dad, but they never really do much. There are ninja, classmates, friends of friends, and more characters but we covered all of the major ones. This goes without saying, but one of the negatives of the series is the fanservice. It’s not all that excessive or frequent, but it is around enough where it still needs to be addressed. It’s an issue that most titles just can’t seem to get away from completely. Another issue is naturally the constant romance. As I mentioned earlier, the series is at its best during the normal adventures where the characters are just having fun and hanging out. The cast is actually better than some of the Shonen action casts. Perhaps it’s because we see them hang out more so getting used to the characters happens a lot quicker than when they are fighting and we don’t get to see the development for a while. Titles like DBZ throw that theory out of the water though. The romance is handled well for what it is. I’d say that it’s probably better than most main stream films in that regard. The characters don’t immediately get to the next level for no reason and it’s not like a CW show where you’re rebounding from one character to the next. Since Raku is unsure about what to do for most of the series, he makes sure not to actually get together with anybody. Of course, he has to pretend to be with Chitoge, but he keeps it in pretend mode. Since a great deal of chapters are standalone, it also stands to reason that for all of the hits there are some misses as well. For example, pretty much any chapter where all of the heroines drink a love potion and decide to chase Raku are fairly weak. On the other side, pretty much any athletic competition…or simply any competition at all are typically a lot of fun. Since the series is so long, the cast gets to go on quite a lot of adventures so pretty much every kind of situation happens. We get haunted houses, School against School competitions, trips to other states, island survival tests, etc. I read most of the series in batches of 2-4 volumes so I can also safely say that the series is a page turner. It never gets remotely boring and I think that can be accredited equally to the interesting cast and the exceptional art. Both really help to complement each other for any series really. If a series has bad art, then it’ll be hard to marathon no matter how engaging the plot is. It was just fortunate to have both factors in its favor. I wasn’t a big fan of the ending, but what else is new? Manga rarely have satisfying endings for me and this one had a big time skip as per usual. My main issue with it was the heroine’s final decision after being selected by the main character. It’s a choice that seems to happen a little more often now and I still don’t really get the logic behind it. It dampens what is otherwise a happy ending. There are also a few random pairings that I’m pretty iffy at, but the ending certainly could have been a whole lot worse. Overall, Nisekoi is a pretty fun series. If I were to rate the series based just on how enjoyable it is, it would easily get an 8. However, just being fun isn’t enough to get a high ranking since I still do have to count the negatives. It’s in the same boat as Medaka Box although less extreme in both the positives and negatives. The author definitely did a really good job of mixing up the various arcs by the end and giving each character time to shine. All of the main characters got a lot of development through the series. I can safely say that Nisekoi was a lot better than I had anticipated. At least now if anyone asks me to recommend a good romance series I can bring this one up. Tsubasa is probably still my go to example though since it was pretty much perfect, but this one can definitely be seen as more of a traditional romance. Now I can only hope that it really does get a battle spinoff manga someday.